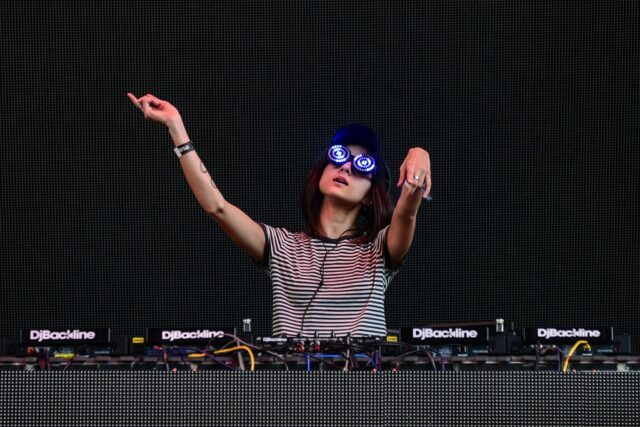 Isabelle Rezazadeh, better know as Rezz, is a 22-year-old badass taking the electronic world by storm. Rezz combines dark influences with heavy beats to deliver a more mesmerizing take on music. At every Rezz show I have attended, I have found myself absolutely captivated by not only her goggles, but her sheer musical talent. Rezz dropped an absolutely filthy set at Buku, littered with signature tracks like “Edge” as well as songs from deadmau5, Bassnectar, and even Noisia. I mean, did you catch the end of the set when she closed with Diplodocus? 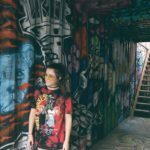 I had the absolute pleasure of getting to ask Rezz a few quick questions. Check out our interview below, and make sure to keep your eye on Rezz. Rezz: Great! Very successful shows. Love seein’ the fans so engaged. What do you listen to outside of electronic music? Rezz: Just random stuff. Preferably chill music on the darker side. I like listening to film soundtracks too for inspiration. Tell me a bit about your collaboration with K?D on ‘Fourth Impact’. How did you two decide to collaborate? Rezz: It happened so fast. He made a track and people said “it sounds like something you would like.” I heard it and then contacted him and we made a song the next day. He sent me a small idea and we went from there. How often do you work on new music? Rezz: Any moment I have to myself! Pretty often. Is the music you make now what you thought you’d be making when you started DJing at age 16? Rezz: It’s the music I thought I’d be making once I realized I wanted to make music. So at around 18 is when I knew. At 16 I didn’t know I wanted to make music. Do you have any plans for a new EP? What’s up with the light up goggles? Is there any significance behind them? Rezz: Hypnosis is rad. I feel hypnotized when I listen to amazing music. I wanted that to be evident through the goggles. As a female in the industry, do you think you’ve faced any challenges that most of your male counterparts have not? Rezz: Maybe sometimes people doubt it’s me making the music but it isn’t doubted often, so I really don’t mind. I enjoy being a woman in the industry. What’s it like being a part of mau5trap and working with deadmau5? Rezz: Love that label. They do such a phenomenal job. Joel is super cool too. You’ve clearly blown up over the past few years: signing with mau5trap, touring the world, and releasing new music along the way. What’s in store for your future? Rezz: Oh boy, tons and tons of stuff. Will surprise a lot of people with how I evolve my brand throughout the years. Isabelle, thank you so much for taking the time to answer my questions. I cannot wait to keep hearing more from you!